With Hillary Clinton campaigning hard for the Democratic nomination, by this time next year, the United States might finally have its first female president. Given how the theme of 2016's International Women's Day this Tuesday is #pledgeforparity, having a woman take the job after 44 men seems more important now than ever — even if that alone won't change the fight for equal pay or equal opportunities in the United States and around the world. It wouldn't hurt, though. After all, we're arriving to the party about 55 years late. The world's first democratically elected female leader was Sirimavo Bandaranaike of Sri Lanka. Bandaranaike was a member of the Sri Lanka Freedom Party, and served as the country's sixth ruler since its independence in 1947. She entered politics after her husband Solomon Bandaranaike was assassinated. He had started the Freedom Party during the decade after independence from the United Kingdom. He went on to become Prime Minister in 1956, but was assassinated three years later, after starting socialist and nationalistic reforms. This prompted Sirmima Bandaranaike to join the party, and she went on to win the 1960 election, promising to continue her husband's reforms — notably the replacement of English with Sinhala, the local language of the majority. This was seen as a way to move away from Great Britain's colonial power, but it angered some minorities on the island. About 29 percent of the population speaks Tamil. Other changes included the name of the country itself, which had been called "Ceylon" during the colonial era. Foreign oil companies and banks were nationalized. Aid from the United States ceased, and Bandaranaike pursued help from the USSR. Further angering the Tamils, Buddhism was made the state religion (Tamils are largely Hindu). Bandaranaike lost power, but regained it twice. 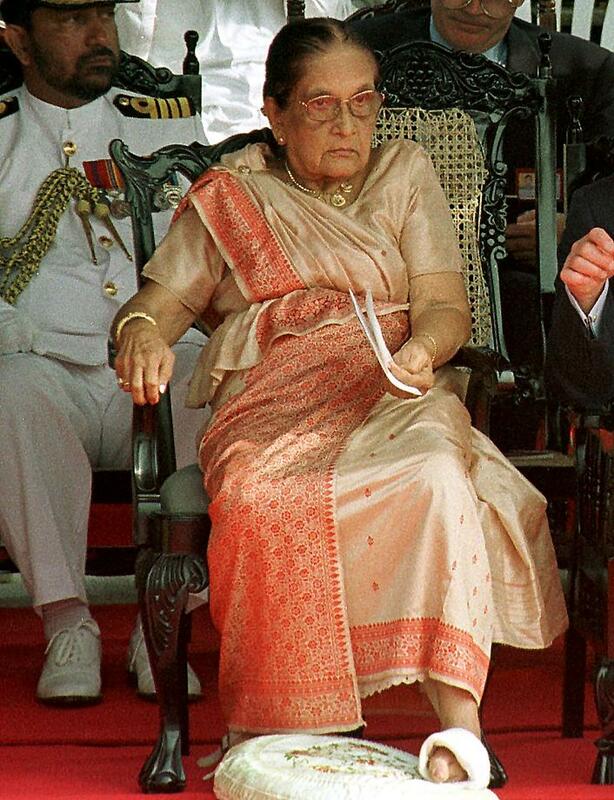 She served as prime minister three times: from 1960 to 1965, 1970 to 1977, and from 1994 to 2000 (although in that case it was a more symbolic role, since by then the job had become subordinate to that of the president). Ultimately, though, her alienation of the Tamils led to violence. Since the 1980s, the Tamil Tigers have fought for an independent homeland in Sri Lanka. A civil war rocked the country from 1983 to 2009, when the Tigers were defeated. According to Time, somewhere between 40,000 and 100,000 people were killed. Much of the Tamils' initial anger stemmed from Bandaranaike's policies on language and religion. While far from a perfect example of a democratically elected leader, male or female, Bandaranaike came to power long before Western leaders, like Margaret Thatcher in the United Kingdom or her contemporaries in ultra-equal Nordic countries. Iceland didn't have a female leader until 1980, and Norway not until 1981. Whether Clinton will finally break this glass ceiling in the United States remains something to consider this International Women's Day.